Nicaragua is a wonderful coastal nation in Central America. This beautiful country, home to over 6 million residents, is a largely untouched paradise. Nicaragua offers you charming beaches, luscious forests and colonial architecture. Popular attractions include Puerto Salvador Allende in Managua, Dolphin Dive on Little Corn Island and Nautilus Corn Island on Big Corn Island. Prepare yourself for an amazing holiday experience, because cheap flights to Nicaragua are available for a limited time! The capital, Managua, is the home of Augusto C. Sandino International Airport (MGA), which is a 20-minute drive from the city. Nicaragua boasts a diverse collection of beaches that cater to travellers seeking adventure and relaxation. These include Playa El Coco, Playa Asseradores, and the charming selection at Pearl Keys. Appreciate the breath-taking greenery of this Central American destination, with the magnificent collection of forests, which include the Isthmian-Atlantic moist forests and the Central American dry forests. 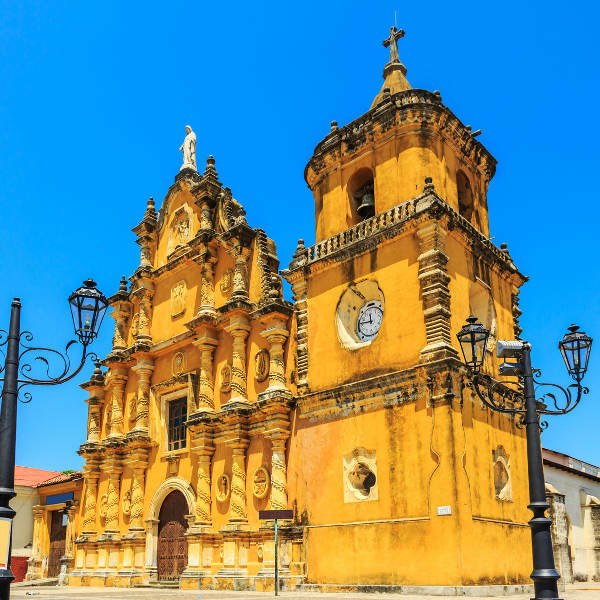 As a former Spanish colony, you can expect to find plenty of historic architecture in Nicaragua, and you won’t be disappointed. Discover architectural structures such as Iglesia de El Calvario and Iglesia de La Mercad. The weather in Nicaragua is generally broken down into a dry season (December – April) and a wet season (May – November). Temperatures range from warm to hot throughout the year. The dry season is the most popular time to visit Nicaragua. Should you choose to book a trip during this time, be prepared for price increases for popular tourist spots. You’ll additionally have to book your accommodation well in advance to ensure you get an offer that suits you best. For a more relaxing holiday experience, visit this Central American nation during November, which sits just ahead of the popular tourist period between December and April. The rain volume begins to drop around this time, yet still lingers to offer cool weather conditions and a green countryside. 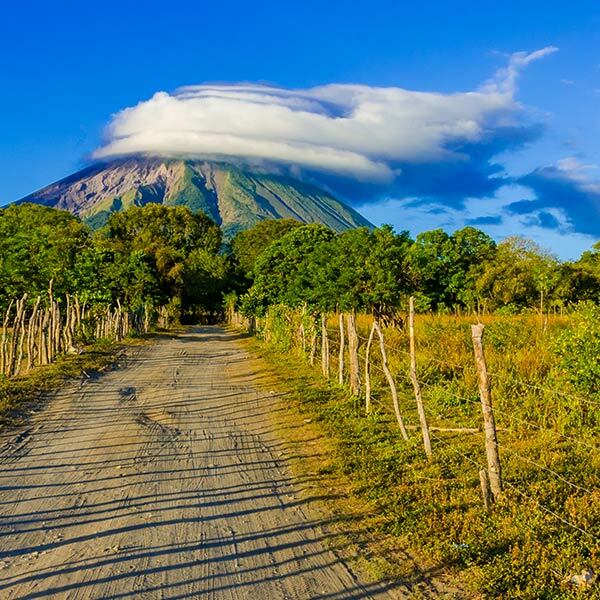 For hikers, this is the best time to explore Nicaragua’s scenic landscapes. Get ready for a wonderful holiday experience at the edge of the Caribbean with a visit to the Central American nation of Nicaragua. This is a scenic country that’s home to volcanic landscapes (including 19 active volcanoes! ), plenty of colonial architecture, charming beaches and lush forests. 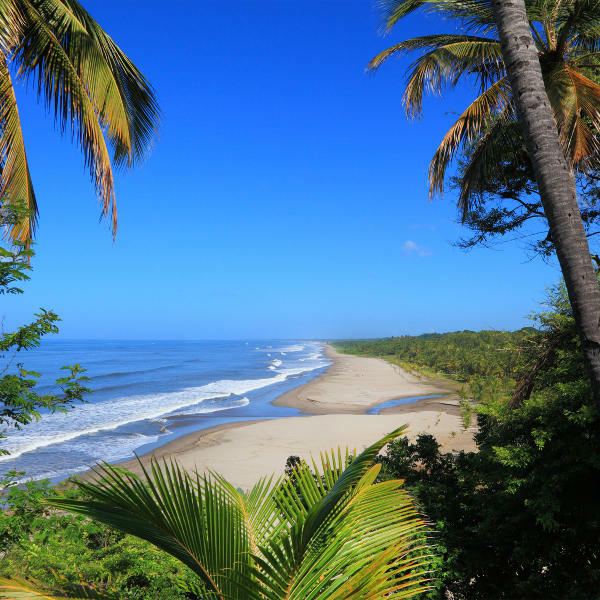 Set between the Caribbean Sea and the Pacific Ocean, Nicaragua offers you one of the finest beach experiences. Surfing enthusiasts should head to the coast of the Pacific to ride the incredible waves of the ocean, while the clear waters of the Caribbean are perfect for snorkelling. Have some fun outdoors at the Corn Islands - two gorgeous islands in the Caribbean. Admire the colourful wooden houses of the Creole population on Great Corn or have a good time at the creative beachside cabañas of Little Corn. The more popular Little Corn also offers an excellent selection of diverse diving sites. Don’t miss out on this opportunity for a wonderful adventure. In the capital, Managua, discover the untouched landscapes of Los Maribious and Parque Central while immersing yourself in this destination’s simplistic lifestyle. Go on adventures through the Chocoyero-El Brujo Natural Reserve or just relax at one of the cafés, restaurants and bars at Puerto Salvador Allende while appreciating the view across Lake Managua. Compare several airlines and book your cheap flights to Nicaragua online at Travelstart! Pregnant women are advised to avoid visiting Nicaragua due to the high risk of contracting Zika. This disease is spread through mosquito bites and sexual contact. • Stay alert at all times. • Avoid travelling alone at night. • Rather pay for a taxi instead of walking through a dimly lit area. • Stay cautious at all times, because incidents are known to occur in broad daylight. • Sexual assault of women (typically verbal) is common. Women are advised to ignore these acts. • If you are followed, walk into the nearest large shop or hotel. • When exploring the rural areas of the north, be aware that there is the risk of landmines.